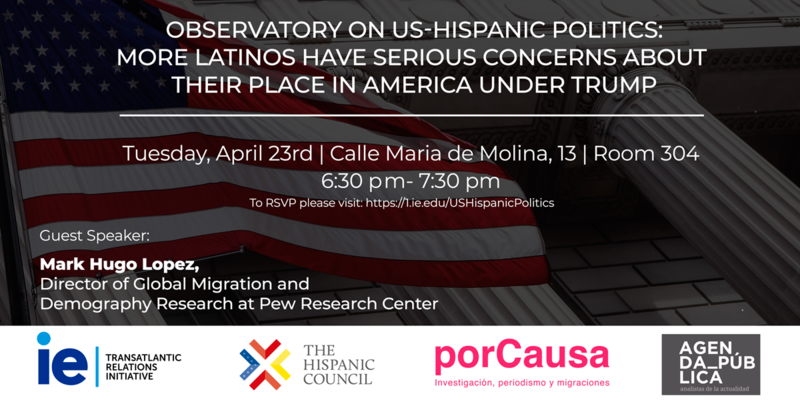 Please join us for a talk with Mark Hugo Lopez, Director of Global Migration and Demography Research at Pew Research Center. He will touch on why More Latinos Have Serious Concerns About Their Place in America Under Trump. Hosted by the Transatlantic Relations Initiative and the Hispanic Council.